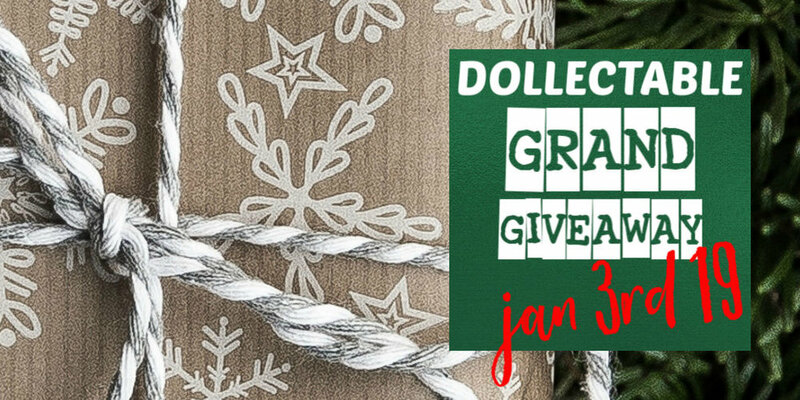 If you haven’t yet entered the grand annual giveaway offered by Dollectable, you have till January 3rd to do so! This little doll will be so glad to meet you! She's button jointed at the hips and shoulders. She comes with handknit rompers and a cute little crocheted bonnet. Clafoutis will travel in a nice embroidered tea-dyed bag! 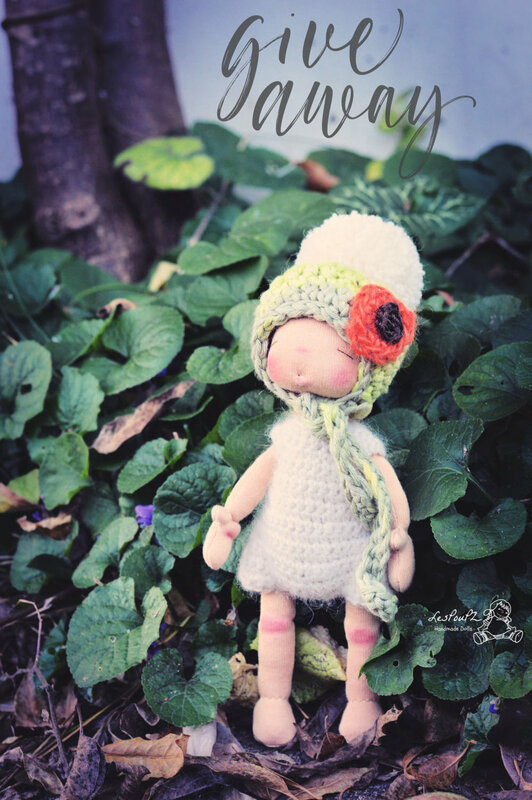 This little doll is a giveaway as a thank for the past year and a welcome to the new one! You only have to cover the shipping fees, which will be adapted according to your location. The extra paid cost will be refunded via paypal. The end times are indicated in each listing. This happens on Hyenacart. Follow the link underneath to go there!